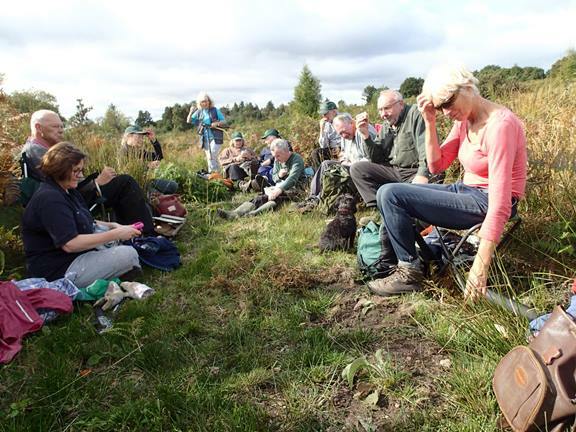 The team were on their second visit to the heathland at Crabtree Hill to tackle the invasive birch. Gloucester Wildlife Trust has fenced 30 acres in order to keep the Exmoor ponies and the English Longhorns on the site as they will do a good conservation job for us but the young birch needs to be controlled manually. We saw the Longhorns on our way towards the site and they have settled in very well. 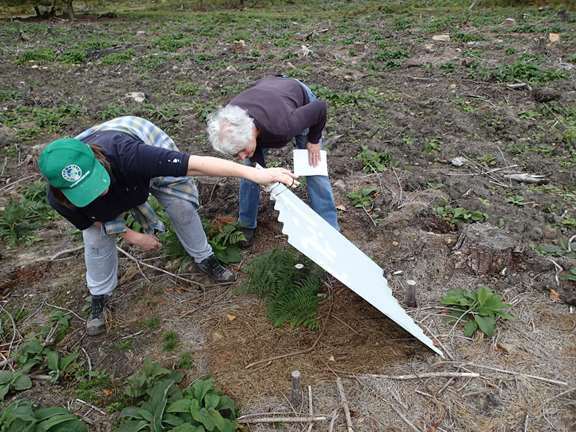 We also checked the corrugated iron sheets for reptiles and amphibians which had been laid around the site during the summer. The checking of the sheets to look for reptiles. No reptiles or amphibians were found although we did find a couple of mice scuttling away! 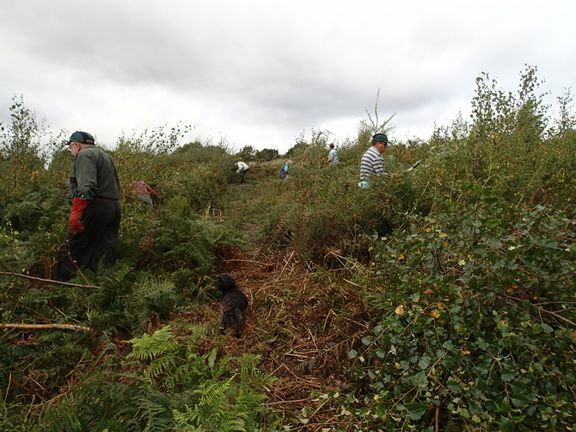 The team are spread out across the site and we cleared a good couple of acres of birch. The team during a break. It was fine, warm weather today and the recent dry spell has left the heathland dry underfoot.